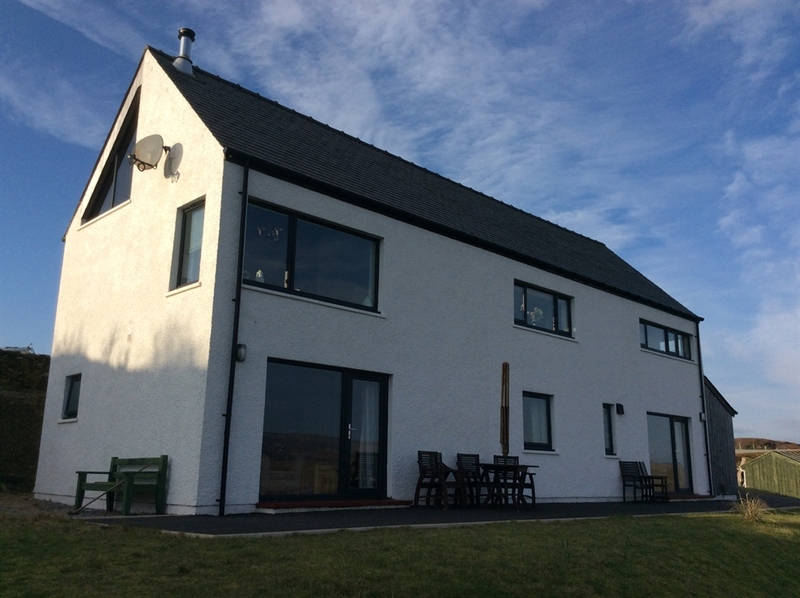 Culnacreag our recently built home provides a comfortable stay in a quiet location with stunning views. Our home, Culnacreag, (Gaelic for behind the rock) recently built on the family croft is situated in the small crofting township of Treaslane some 9 miles from Portree just off the main Portree/Dunvegan Road. The house is of upside down design with the bedrooms below. 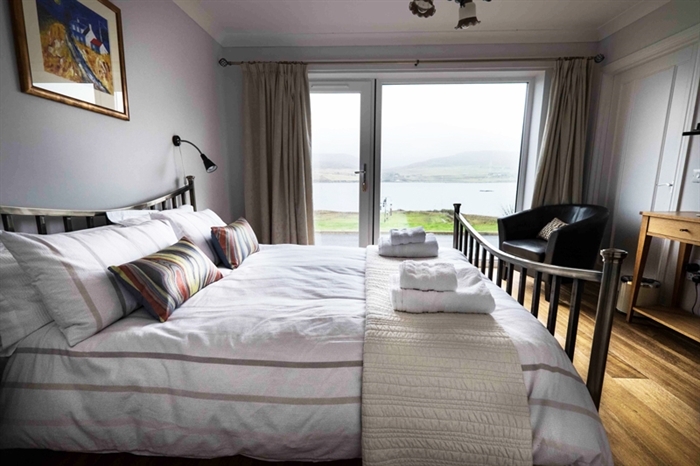 They have floor to ceiling windows with a door to the outside allowing panoramic views across Loch Snizort Beag, the shore about 200 m distant, to the Trotternish Ridge beyond as well as easy access. Full central heating throughout with underfloor in the bedrooms. Free WiFi is available as is TV with Freesat. Our bird feeders attract many different small birds. occasionally Golden and White Tailed Sea Eagles can be seen. Seals, Otters, seas birds porpoises and dolphins are sometimes to be seen in the Loch. Room 1. A large double room with super king size bed and ensuite bath and shower room. The room can also be set up as a twin room. The cost for this room is £95 per night for the room including breakfast. Room 2. A double room with king size bed and ensuite shower room. 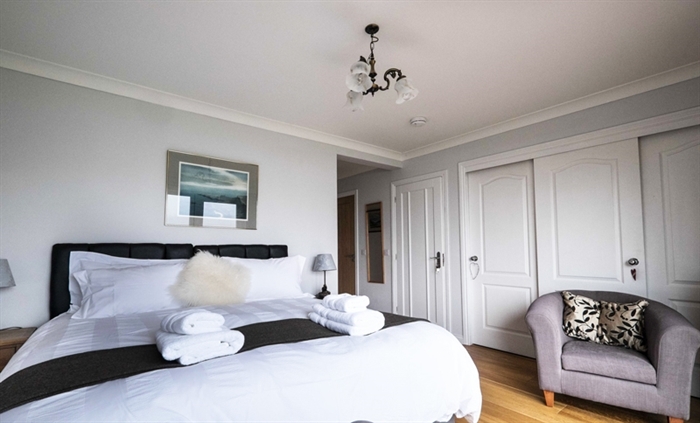 Both rooms have extensive views through picture windows over Loch Snizort Beag and the mountains beyond. Please note we have a minimum 2 night stay.